It’s no secret that many people consider fish to be great pets. After all, they are lovely, colorful little creatures with a penchant for putting on a show. But they aren’t as low maintenance as one might be tempted to believe. In fact, putting together an aquarium is a challenging endeavor that has quite a few rules that need to be followed. According to Reef Nation, there are plenty of fish tank-friendly options on the market that will brighten up any miniature ecosystem you will create. Their vivacious personalities mean fun for the whole family. But when you’re a beginner, starting out with the right species can be a complex task. Fortunately, with a bit of knowledge, you can do anything. The first thing that you need to keep in mind upon making your initial purchase is that moderation is key. When looking at the breathtakingly exotic and colorful options your local pet shop has to offer, going overboard becomes easy. Nevertheless, if you put too many fish in the aquarium at once, it will create an imbalance. Thus, it’s best to start out with two or three and allow for a healthy nitrogen cycle to develop. After that step is completed, you can add more variety. But remember that the next round must also be pursued with moderation. 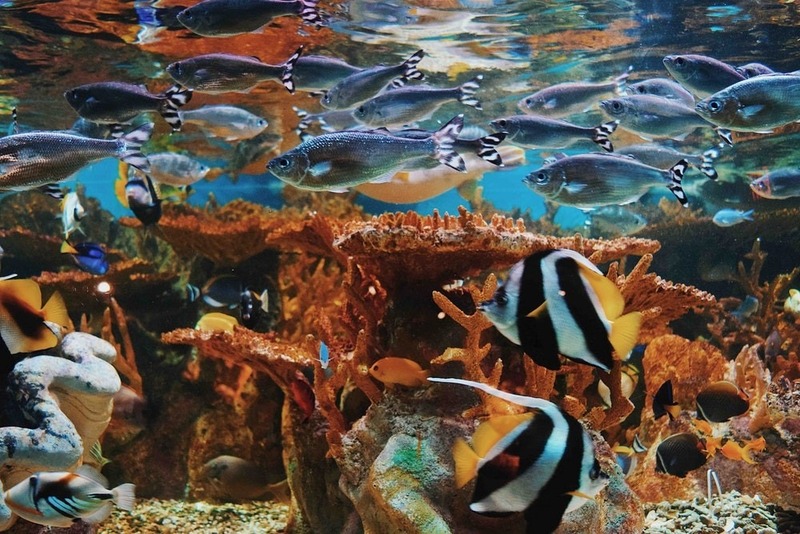 Excessive ammonia levels can plague your tank anytime fish overstocking occurs, so be careful. As for the actual species you might want to go for, the ideal fish for beginner aquarium enthusiast should be tame and delicate. Picky eaters are something to avoid, as are aggressive swimmers or those who tend to grow too large once they reach maturity. In addition, you will have to ensure that every single little friend in your tank gets along with the others. After you managed to gain a deeper understanding of how the fragile ecosystem of a fish tank works, it’s time to populate it with some energetic swimmers that will put on a show. Of course, some species will be more suitable for first-timers than others. To help you decide, here are the best three species of fish to include in your first home aquarium. As an overall range, barbs are ideal home aquarium fish for beginners. The most suitable varieties include tico barbs, rosy barbs, cherry barbs, ruby barbs, purple barbs and gold barbs. While many breeders will boast the tiger barb as being the ideal addition to any tank, that is hardly the case when you’re just starting out. First of all, tiger barbs tend to move in schools of at least six. Furthermore, they have particularly boisterous and aggressive personalities, and they are notorious fin nippers. For this reason, they are more suited for bigger aquariums filled with various schools of active fish that will create a balance. Another genus of fish that make perfect first-time additions are the danios. And just like barbs, they come in many colors. Zebra, leopard and pearl danios all make equally good choices for your small marine ecosystem. They are slender freshwater fish with a rather exotic look to them, and they are rather peaceful. However, you will want to steer clear of giant danios. As the name suggests, they tend to be rather large in size, which is detrimental when you want to build the population of a tank from scratch. Moreover, danios are notoriously ample swimmers, which means that it’s best to choose the smaller ones so that they have enough room to unwind. When one thinks of catfish, the notoriously large ones immediately come to mind. Needless to say, these are not the catfish that we recommend for beginner aquarium enthusiasts. Instead, look for the Corydoras genus, which are the huge ones’ smaller and more vivacious cousins. They are commonly referred to as corys. Bronze and gold corys are beautiful and energetic fish that will keep your tank alive. But if you’re looking for something a bit more exotic, go for panda corys or bandit corys. Spotted corys are an interesting choice as well. Check all these varieties out at your local pet shop and see which one suits the vibe of your tank best. A cheerful and brightly colored fish tank means fun for the whole family. And after you have managed to create and maintain a healthy balance in the ecosystem and its cycles, fish are rather low maintenance pets that both kids and adults can enjoy. The secret lies in choosing the right species and adding them in rounds by practicing moderation.